Listening to Claire and Jamie’s theme song from Outlander takes me right back to their wedding. Oh, this theme won’t leave me alone! And I keep hearing the sad, soulful cry of the flute when she says, “I’ll love you any way I can,” in the season finale. The Outlander theme song, however, is not what you think. Bear McCreary adapted it from a traditional Scottish folk song, “The Skye Boat Song.” “The Skye Boat Song” is about Bonnie Prince Charlie dressing as an Irish woman, and fleeing British soldier in a boat set for the Isle of Skye. The song’s roots in the Jacobite uprising made it perfect for the show, but obviously the words needed to be changed. Vocalist Raya Yarbrough suggested lyrics by Robert Louis Stevenson. Thus begat the Outlander theme song. Visit Bear McCreary’s official blog for insight into his lovely Celtic music. Here’s Claire and Jamie’s theme song on Spotify, tucked into “People Disappear All the Time.” The melody begins at about 0:50. You’ll hear it again on flute a bit later in the song. We hear Claire and Jamie’s theme song before we’ve even met Jamie on Outlander. But it plays when she’s talking about disappearing, and it sets up the story to come. Visit iTunes and download the Outlander soundtrack. or buy it from Amazon. You won’t be disappointed. Thanks for reading! 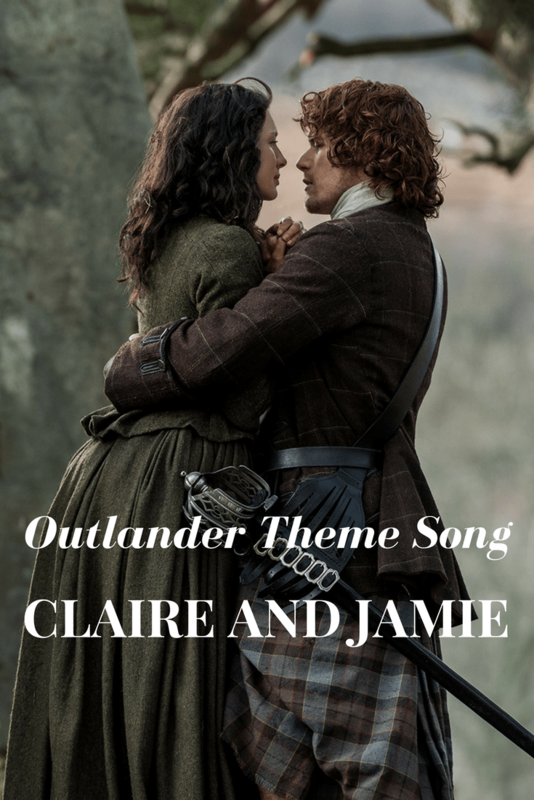 Do you have a favorite song from Outlander? Let me know in the comments!